Samshield New Collection review 2019 – Want it! Have it! Samshield New Collection spring/summer 2019 just appeared in premium equestrian shops with clothes for riders. Samshield brand is definitely one of these leading brands that are going with the time with performance in technological innovations for riders sector. 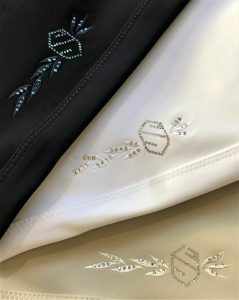 They’re also leading designers in a new sense of style for well-know classic breaches and show shirts with their revolutioning collection full of embelisshes of floral embroidance and magnificent details in Swarovski® crystals. Samshield blossoming embroideries was available only in premium line customised helmets from configuration…till now. Summer/spring collection surprised all equestrian clothes lovers due to being unique in sophisticated style. Let’s start with the ladies’ show shirt with short sleeves named Philomene. The Philomene show shirt is made of the highest-quality elastic and breathable material. The shirt is soft-touch and provides highest level of comfortable wearing. Thanks to the slim cut the shirt perfect tailor to the body and highlights the silhouette. This show shirt represents the highest class of elegance style in more individuality and femininities version. Floral embroidery on the stand-up collar is the quintessence of main philosophy of this collection : lightness, uniqueness and crucial meaning of the details (as you can see on the picture above). 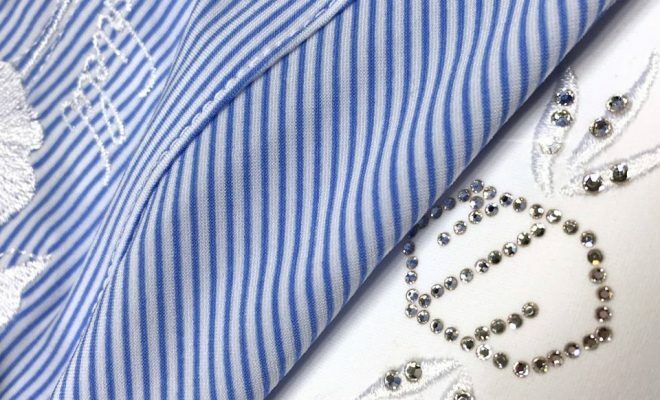 Finally the show shirt is minimalist embellished with the Swarovski® crystals. My next favorite is ladies’ show shirt with short sleeves named Sybille. The Sybille is also made of the highest quality elastic and breathable material. 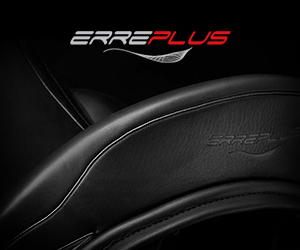 It has a slim cut that provides a perfect fit for optimal comfort. The collar closes with small buttons which are invisible once fastened. The main feature of this show shirt is large floral embroidery on the front (as you can see on the picture above). 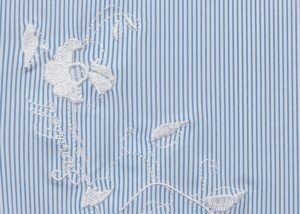 This detail makes that Sybille show shirt gain on the originally look. Collar is finished with the Samshield emblem in Swarovski® crystals. Last ones which already stolen me heart are the ladies breeches Capucine with full silicone seat. Naturally they are made of the highest quality technical material which is elastic and also breathable. 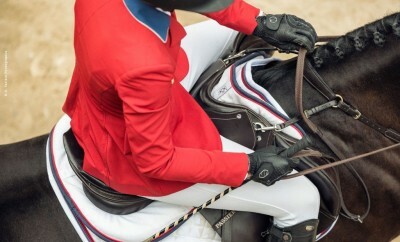 Due to the slim cut the breeches provide perfect fit to the body, almost like a “second skin”. The material protects against the UV radiation and ensures the well moisture-draining for more confortable wearing. Full grip enhances stability and adhesion in the saddle. The thights have an elastic insertions at the bottom to provide a better contact with the horse. Capucine breeches have a magnificient floral embroidery on the back above the back pockets. 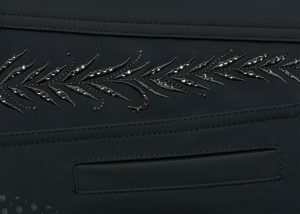 Another embroidery on this breeches you can see on the front pockets and on the tight. 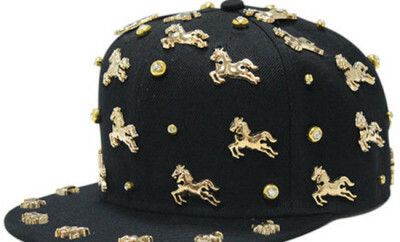 All thats decorated in the Swarovski® crystals. This model is available in few different colors depending to requirements: Navy Blue, White, Light Beige and Black. The breeches in white color will be ideal as a competitions breeches. 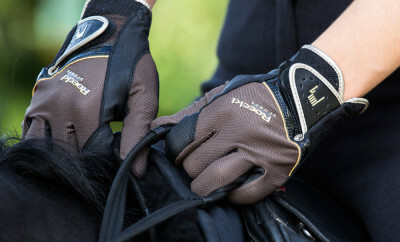 For those of you who are decided for refresh their wardrobe with the lastest Samshield collection I always advise to purchase in equestrian tack shop which offers the lastest collections and relevant facilities for customers such as a safe online paying methoods, shipping in 24 hours and 30 days for return or exchange. One of the most popular on-line premium equestrian tack is Equishop Premium Horse Equipment. Except the best-quaility cloths for riders they also sells high-quality horse riding facilities, premium equestrian accesories and also supplies for horse. 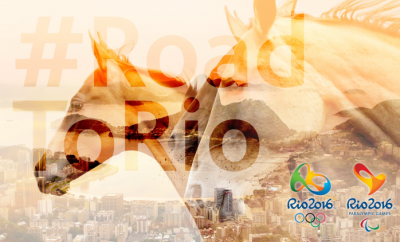 Additional advantages are efficient customers services and wide offer of leading equestrian brands located in one place.